I am ————-, completed my Master of Pharmacy in pharmaceutical Management & Regulatory affairs(PMRA), in 2013,having 1 year experiance in pharma maketing & 1 Year in Pharma Regulatory affairs too. Two of my friends and me want to Start Pharmaceutical Trading Company in India? at small scale, in near future. I read article “How to Start Pharmaceutical (Marketing/Trading) Company in India?” & got almost point cleared. This article found to be very helpful for us. Designing of Logo – Is it company’s Logo ? Company Profile – requesting you to Kindly clarify meaning. Trade Mark procedure – is it required for trading company also ? for trading company also ? Moreover, We always welcome your guidance on “Start up a trading company”. Right Sir, Here we are indicating it for designing of your company logo. In mean time you should finalize your company logo that should be unique and profession. Logo is your identity. It is as important as your company name. Company profile is your description about your company, directors, location, history, vision, social responsibilities, future planning, expansion plan etc. For your new start-up company, you will not have any historical back ground and other data to present. You have to create a company profile in form of digital presentation, in form of leaflets, books or in other form you would like to present your company. Its just like – when an interviewer ask you about yourself in an interview. You have to describe your self in accurate manner. Likewise you have to describe your company when you will go in market. You can’t just say, you have start-up this company and want to sell your product. You have to be professional while presenting about company. In beginning build a strong profile to get most from your marketing skill. 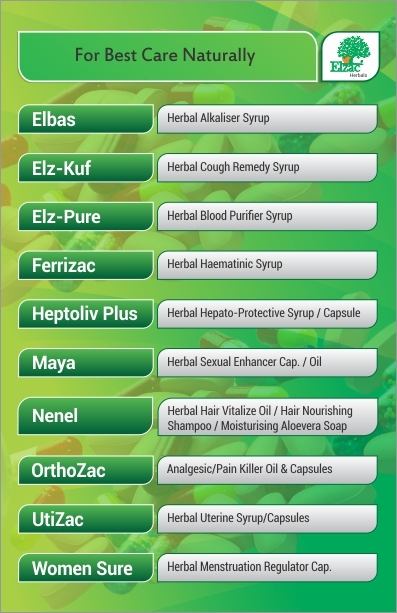 Yes, This is the product list of molecules you want to market. Brand names and molecules list should be prepared on time, so, you haven’t to waste your time after getting drug licence number and can start you work as soon as possible. Trade Mark is not related to any trading company. Its related to your intellectual property, your company name, your brand names etc. Trade Mark is different procedure and come under different department. It is not compulsory to register under trade mark but it is necessary to prevent future problems like conflict brand names, resemblance in company or brand names. Trade mark is come under controller general of Patent Designs and Trade Marks. You can search for resemblance your chosen name at http://ipindiaservices.gov.in/tmrpublicsearch/frmmain.aspx . Its your will whether to apply for trade mark or not but we recommend you to go for trade mark procedure if not for all, at least for company name, you should apply. Trade mark registration is long process and can take 2-3 years depend upon your name clearance. Read This for further details Is it necessary to get onces product (Brand Name) registered? Packing Material design is your choice. Its your choice which pattern and look you want to give your products. Whether you are manufacturing company or trading company, its product’s owner work to finalize your designs. Manufacturer will send you design for your products to be approved by you. Only after your design approval , manufacturer will take it in process. Technical and matter correction is work of manufacturer but you should finalize your design yourself. Promotional inputs include catch covers, reminder cards, Ad designs, Product cards, pads, dairies, visiting cards, leaf behind cards, bags, visual aids, small gifts etc. Their designing and pattern is come under your work. Finalize best pharma manufacturer for third party manufacturing is your one of top most work. Best rates, timely delivery and best quality should be your motive. Rate can be little bit high but you should compromise with quality and packing. Products card contains detail about all products. Brand Name, Composition, Packing, some times image etc are mentioned in product cards. Hope you have found above suggestions useful…. you can avail our Promotional Material Service to prevent your time and money. Steps for starting Pharma Franchise Marketing!!!!!! Which Pharma Franchise Company (PFC) or PCD Company will be best for association? What to do before finalized your PCD or Franchise Company? Nowadays creative designs makes more impact in industries. In order to survey with top Branding Companies in India you need to stay updated with creative designs.